IN MY LAST UPDATE I mentioned keeping everything moving on the Sketchnote Handbook — this is the story of the project. Keeping everything moving and juggling it and my normal life too. The good news is, I've been able to keep things moving. 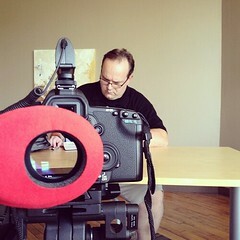 There is still quite a bit to do on the book and video, so the juggling will continue. I've been working hard to get the manuscript finalized, am I'm happy to report I've written all 7 chapters as of this week. There are a few details to finalize, but I expect adjustments to be made even as I illustrate the book. This coming week is key. I'm working on creating pencil sketches for the entire book — all 7 chapters — to see how many pages the manuscript converts to when fully illustrated and filled samples of sketchnotes to illustrate the ideas. I'm on a family vacation in Western PA (an hour North of Pittsburgh) which works out well for sketching. I'll have afternoons and evenings free, while the kids have activities, to turn a text-only into a fully sketched book, ready for inking. It's going to be hard work, but I'm excited to make my written ideas visual. 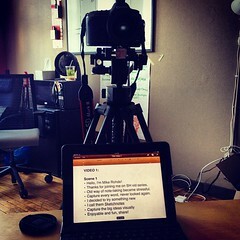 The second part of the project, video, is really a separate project in itself. The video has progressed as well. Last week Brian Artka and I shot a third of the raw video so he can create 6 videos, including an intro and several on-site shots. 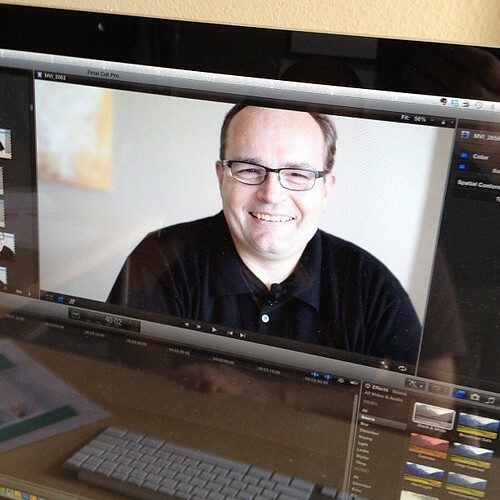 Close-up shot at my desk, in Final Cut Pro. 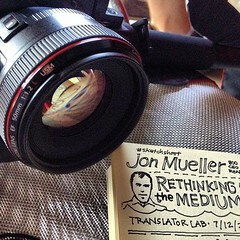 On-location: Rania Madanat's shot of us at work, sketchnote of the talk. 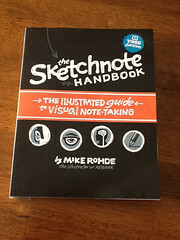 See the updated Sketchnote Handbook Flickr set for more photos. 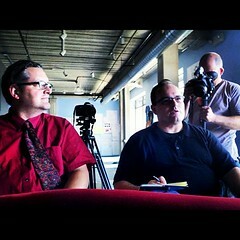 It's been a great experience seeing my team of friends and colleagues working together to make the video happen. From Gabe's scripting and Brian's video, to Jon Mueller's presentation, Translator's beautiful space and everyone who turned out to help make the video happen: thank you all. We've finalized the soundtrack from Steve Mork. It sounds great, and I can't wait to see it added to the video. We're talking about offering the track, remixed by Steve, for free, so you can add it to your playlists. Stay tuned. Since I've been creating a video of my book, I have a great appreciation for the hard work put into every film and video production. There are so many takes, so much footage, and yet only a fraction of it survives to be used. First is an article by Ian Sanders in The Financial Times: The simple power of the doodle. In the piece, Ian shares how to a variety of business people and visual thinking experts use the power of doodling and sketchnoting in their business. (See the article without FT registration: search for the title on Google News). Article in the Tuesday, July 17, 2012 issue of the Financial Times. An interview with the Chick-fil-A Leadercast blog, The Designer Behind the Sketchnotes, was published on July 8th, asking questions about me, sketchnotes and leadership. It was also a good opportunity to talk about the book. I was invited to speak at the International Forum of Visual Practitioners (IFVP) this coming Wednesday. As it turned out, I was an hour north of Pittsburgh the very week of the event, so I jumped on the opportunity to share. The event will include a brief keynote on sketchnotes and a 90 minute workshop afterwards to get attendees doing sketchnotes. Most IFVP members focus on larger-scale graphic recording or facilitation — so it will be fun to challenge them to work small and try sketchnoting out. There's a temptation to decline opportunities to share the message of the book and its ideas, to only focus on writing or sketching or video work. But I've realized over the years how critical it is to take opportunities like these when they come, to help plant seeds for the future. I think they will pay off. I wanted to end this update with thanks to everyone who has been so encouraging as I work through this project. It feels great to have support as I'm fighting my way to completion — thanks! Visual thinking brings a new perspective into ideas and words. Good for you to promote this idea, which can be scary, since people suspect art of being subversive, rather than explanatory. Thanks for taking the time to really do this project right, creating from scratch a thorough guide to this new subject — particularly when the tendency these days is to release a high-priced "information product" that's little more than recycled web content. As a lifelong doodler who's been thinking "Hmm" about sketchnoting, I'm really looking forward to seeing the end product. Thanks so much. I will definitely do that.